Invited guests and members not serving as delegates must register by March 4, 2019. Please refer to your invitation for the verification code. All members are welcome to attend the annual meeting, however business will only be conducted by official delegates selected by their district. Members not serving as delegates are asked to register by February 28. You must be registered to be seated in the delegate area and to be eligible to vote. The election result form sent in by each local secretary will serve as the credentials for verifying local delegates. As a delegate you will be registering on a district basis prior to the meeting. Please be prepared to provide your round trip mileage at the registration table. Delegate mileage reimbursement will come directly from MMPA and will not need to go through your local secretary for reimbursement. We look forward to your presence and participation in this meeting. If, however, you find you are unable to attend, please notify your local secretary to assign an alternate so the members of your local will be properly represented. Only those alternates elected at your local meeting will be certified to vote in a delegate’s absence at the Annual Meeting. 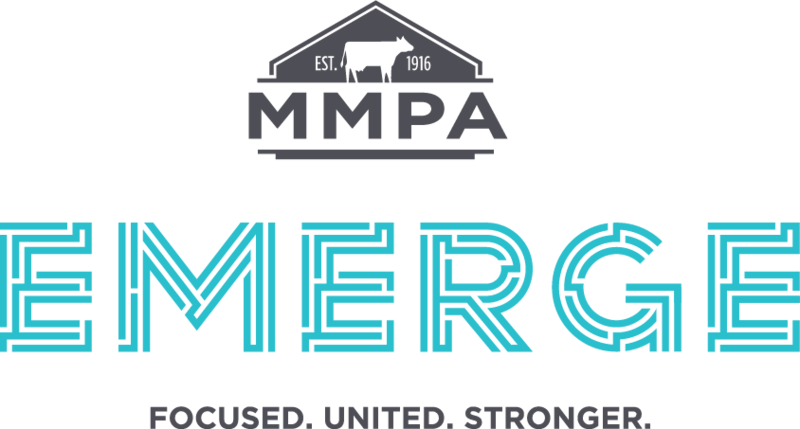 MMPA’s Outstanding Young Dairy Cooperator finalists will be honored during the meeting. Paul and Nancy Pyle will be the OYDC hosts at the meeting and will help OYDCs sign in. OYDCs will be reimbursed for round trip miles driven to the meeting. Please check in at non-delegate registration. The young cooperator recognition is tentatively scheduled to be held in the morning session of the meeting. Following the OYDC recognition, anyone who is serving as a delegate can join their delegation for the balloting and voting that follows. If you also serve as a delegate for your local, please be sure to also register at your District table so that you may pick up your delegate folder. There is designated seating for OYDCs on the left side of the hall and reserved tables during the luncheon. Thirty-five and 50 year members will be honored in the afternoon session of the meeting. Please check in at non-delegate registration. The members will be given the opportunity to make a few comments to share highlights and changes over the last 35 or 50 years of membership. If you also serve as a delegate for your local, please be sure to also register at your District table so that you may pick up your delegate folder. There is designated seating for OYDCs on the left side of the hall. During the luncheon all 35 and 50-year members are invited to sit at the reserved tables.